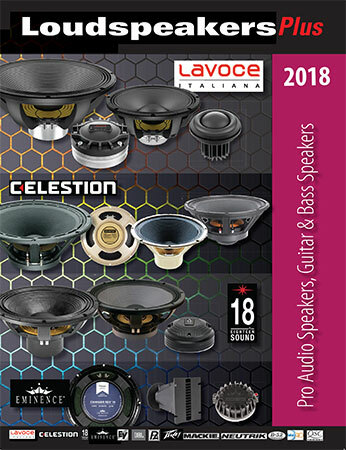 We started in the mid 90’s with a vision to supply the best speakers and repair parts from the top names in the business. Since then, we have evolved into a “One Stop Shop” of carrying the top major brands of all Pro Audio Speakers. Whether you are custom building front of house systems, or making repairs to your DJ rig or guitar amp, we have the right solution for you. We can help you select the right driver for your new system or help you bring those old cabs back to life. Most items will ship the same business day, and all orders over $99 ship for free! Right click on this link or the photo at right and save it to your device. For pricing, check this web site for the manufacturer or search by part number at the top of the page.